Professor Arlyck teaches civil procedure, federal courts, and legal history. 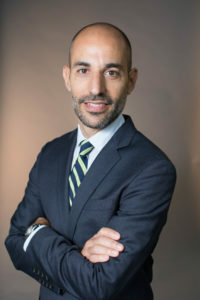 His scholarship investigates the early history of the federal courts, with a particular focus on the courts’ involvement in national governance between ratification of the Constitution and the Civil War. His scholarship has been published in Law and History Review, Brigham Young University Law Review, and NYU Law Review. He is currently working on a book exploring the important role the federal courts played in early U.S. foreign relations. Before coming to Georgetown, Professor Arlyck received a J.D. and Ph.D. in history from New York University, and he clerked for the Hon. Sonia Sotomayor on the Supreme Court of the United States and the Hon. Robert Katzmann on the U.S. Court of Appeals for the Second Circuit. He also held academic fellowships at Columbia Law and NYU School of Law, and spent several years in private practice at Orrick, Herrington & Sutcliffe in New York. Kevin Arlyck, The Courts and Foreign Affairs at the Founding, 2017 BYU L. Rev. 1-65. Kevin Arlyck, Plaintiffs v. Privateers: Litigation and Foreign Affairs in the Federal Courts, 1816—1822, 30 Law & Hist. Rev. 245-278 (2012). Kevin Arlyck, Note, What Commonwealth v. Alger Cannot Tell Us About Regulatory Takings, 82 N.Y.U. L. Rev. 1746-1779 (2007).